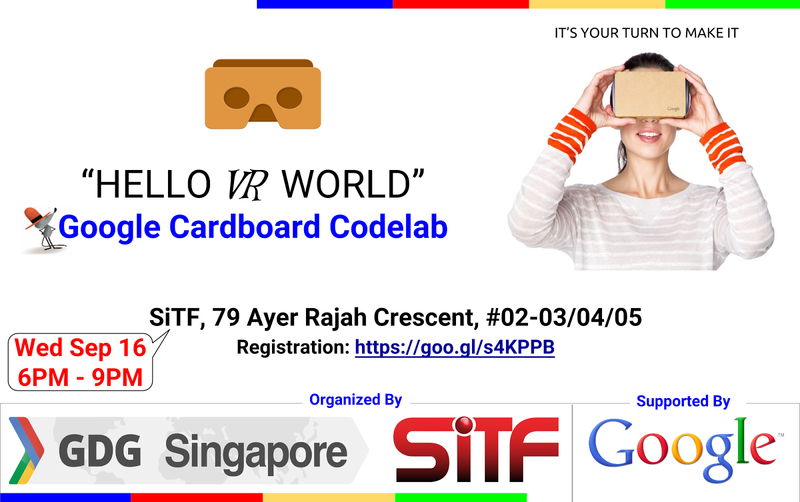 GDG Singapore and SiTF jointly organizing Google cardboard code lab. This codelab is an introduction to, how to take a first person game made in Unity and enhance it to have a Virtual Reality mode using the Google Cardboard plugin powered by Unity. 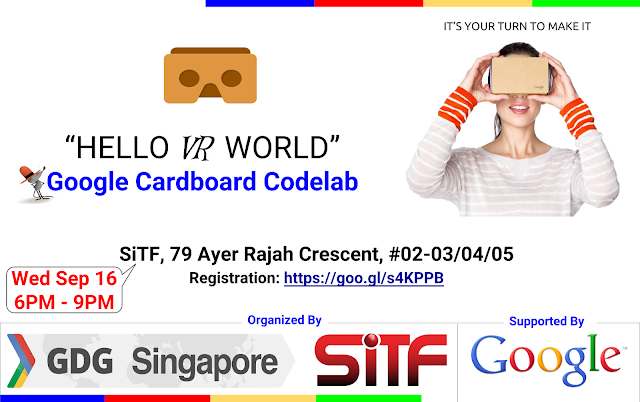 During this event, we distribute the Google Cardboard V2, which you ordered thru Eventbrite site. So please collect it with-out fail. Participation in the code lab is an optional one.